The color kept playing tricks with our eyes, the body was so shiny. Every light bounced off of it. Was the car red, or pink? The color, which was certainly fantastic, was nothing compared to how immaculate it was. It looked as though it just rolled off a movie set. This is a car you stand over and are hypnotized by how regal it is and develop a deep appreciation for the owner who has spent both time and money to maintain such a beauty. 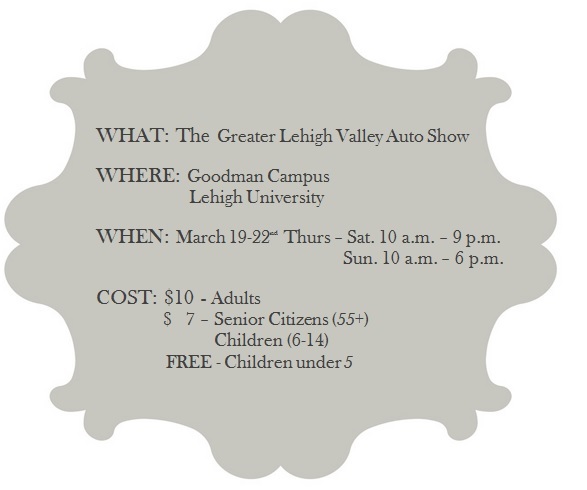 This was the second year I attended the Greater Lehigh Valley Auto Show. It seems to have a great turnout. Each time I have attended, it is packed with an array of people: the potential car buyers, the car enthusiasts looking at the newest features dealerships are offering, the antique car fan, and leisurely browsing families enjoying a day out. Yet, of course, the show looks to appeal to the buyer more than anyone. As a potential buyer, this event is perfect. You get to check out several dealership lots all in one place in the comfort of a heated building/tent. Also, if you choose, you can go under the radar without salesmen hounding you. This event can save you time in weeding out the makes, models, and features that don’t accommodate you and your needs. The car enthusiasts can also share in these positives – they can learn about the newest trends in cars across all brands. The display was grand, but left you wanting more. Tucked in the middle of brand new cars, these gems have such character and intrigue, you wish the whole building was full of classic cars. It definitely got you excited for the upcoming antique cars shows this summer! Lastly, the leisurely browsing families enjoying a day out do in fact get a nice day to walk around. The show even offers a special family pack which includes: 2 adult and 2 children (6-14 years of age) tickets at a discounted rate of $25.00. Yet, the event lacks interactive exhibits, especially for youth. Sure you can hop in a car to look inside, or spin a birthday wheel to win a car shaped stress ball, but I feel this is the biggest component the show is missing – more interactive exhibits. I do recall last year there was a motorcycle display where you could sit on the bike and rev the engine – I did not see that exhibit this year, sadly. Some further pros of the car show that were appealing across the board to patrons would be: Lehigh Valley’s Ugliest Car Contest, free parking, and food vendors such as Lehigh’s Fud Truk. Food trucks are always novel at any event. 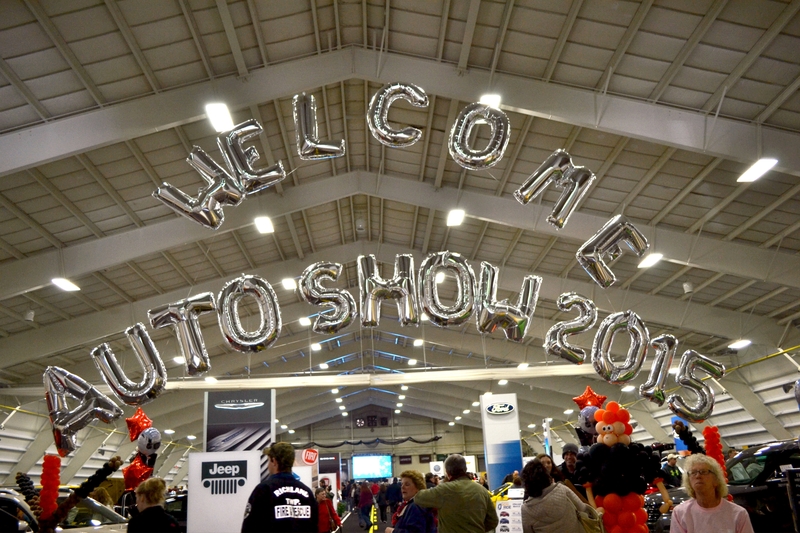 In sum, the car show definitely appeals to the buyer, but can offer a little to everyone – it just depends what “the little” is worth to you and at what cost to decipher if The Greater Lehigh Valley Auto Show is your cup of tea.